Happy Tuesday! This week we’re going a bit less traditional and adding booze to our ice cream. Personally, I have found very few dairy-based items that Baileys doesn’t improve (like hot chocolate and pudding and whipped cream), but this happens to be one of my favorites. Even better, it’s no more time-consuming than my normal vanilla ice cream. Simply throw in a couple ounces of Baileys and prepare your taste buds for a glorious experience. Smooth and creamy, with that wonderful Baileys taste we all know and love (caveat: if you don’t like Irish cream liqueurs, this post is probably not for you, but be sure to check back next week! 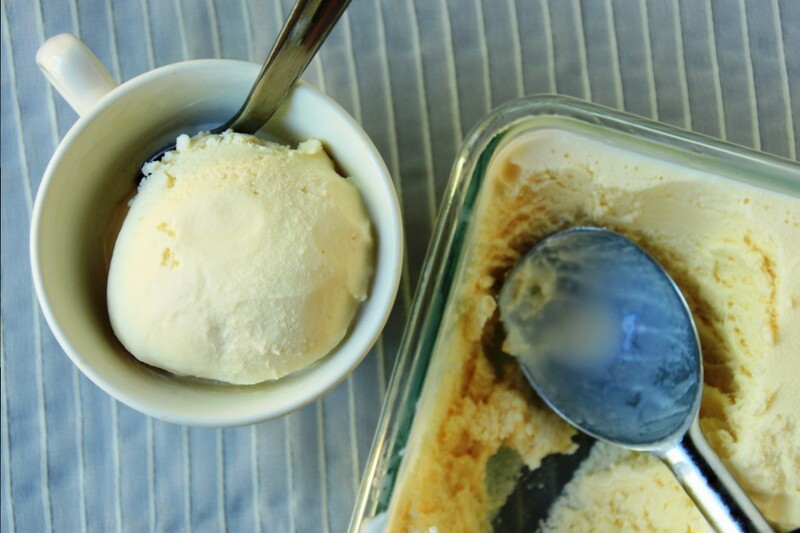 ), this ice cream is great on its own or as part of something more complicated. It would pair beautifully with a Guinness chocolate cake for a St. Patrick’s Day treat, although I haven’t tried this yet. Note to self: do this next year. It also makes a great milkshake (add a little Kahlúa, vodka, and chocolate sauce for a mudslide) or an adult root beer float. 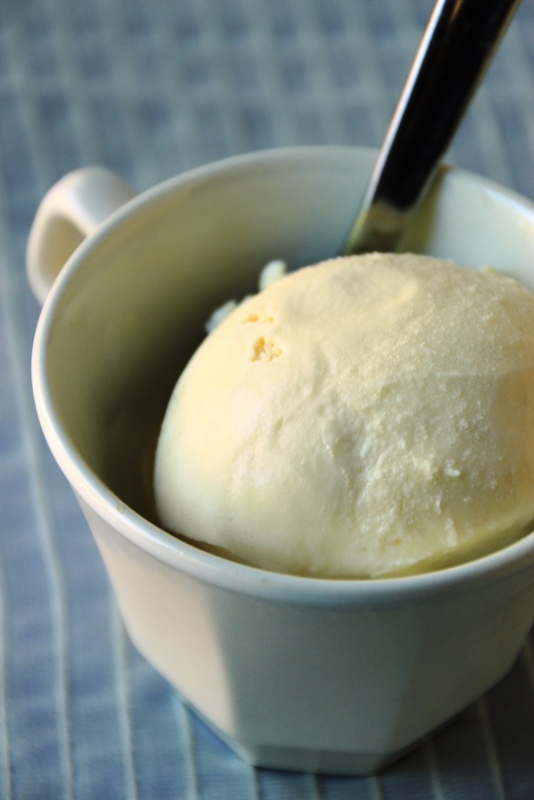 Simple as it may seem, what started as a whim has quickly become one of my favorite recipes and is now one of my go-to flavors when I want something besides regular vanilla. Plus it helps me get through my ever-growing collection of Baileys flavors. With regards to the strength of the flavor, I’ve given you a range in the amount of Baileys so you can tailor it to your preferences. I generally add two ounces, and this is also the amount I’d use if I were planning to serve it alongside a cake or other dessert. For a root beer float, a stronger version might be better. Four ounces definitely packs more of a punch, but since Baileys is a relatively mild alcohol it’s still not crazy overwhelming. 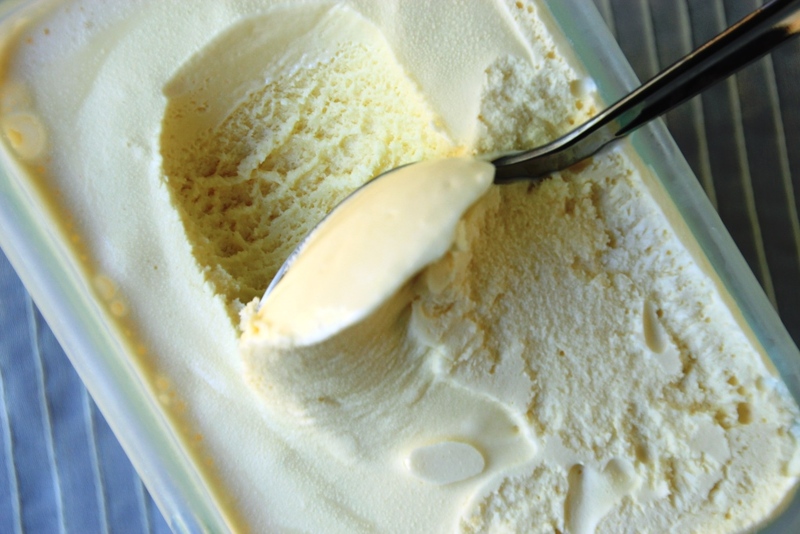 You can certainly start with one ounce if you’re just looking for a hint of flavor, but I would caution against going much higher than four ounces as I can’t guarantee the ice cream will freeze properly with a higher alcohol content. Mix up the other ingredients and add the Baileys one tablespoon (2 Tbsp == 1 oz) at a time until it tastes right to you, keeping in mind it will be slightly more subtle after its frozen. Next time you want to up the ante on the ice cream front, give this a try; I guarantee you’ll want a repeat experience. 1 I have used multiple flavors of Baileys with delicious success; my favorite so far is Vanilla Cinnamon. If you’re not a Baileys fan, substitute your preferred cream liqueur. 2 Because of the alcohol, this ice cream probably won’t be hard enough to eat straight out of the ice cream maker. Nice and soft straight out of the freezer, it does melt relatively quickly so don’t dilly dally if you’re serving it to several people.